What affects the specific of the city? Can we say that the history has the most important influence to urban identity? In this aspect, do we support placing the commemorative monuments in common spaces? Designers working in public areas know that they can't ignore the historical background. We could follow or deny but always we are engaged in dialogue. Therefore public spaces become natural environment for social design. Creating interactions, giving the information, involving and inclusing – that makes the public design successful. 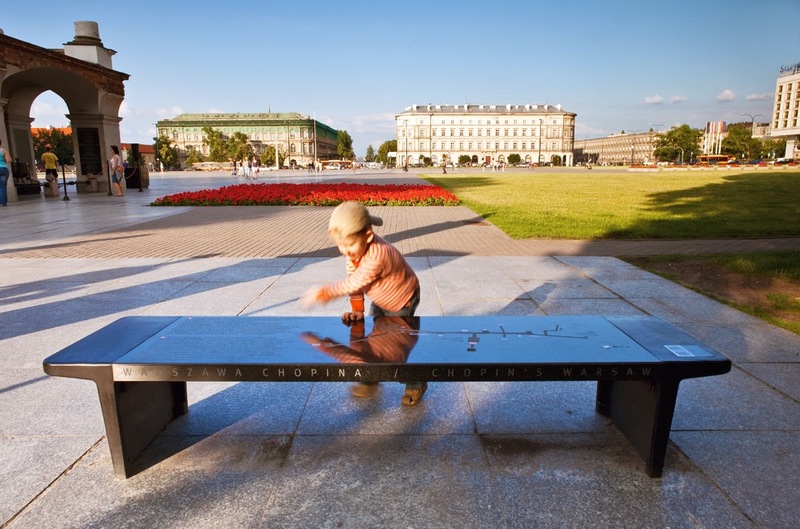 At this point the story of Chopin's benches in Warsaw and the Chopin's year 2010 begins. Barbara Dobrzyńska - polish graphic and product designer specializing in design for public spaces. Graduated from the Faculty of Industrial Design at Academy of Fine Arts in Warsaw in 2004. For the last 8 years closely associated with one of the most important design studio from Warsaw called Towarzystwo Projektowe (TePe). Main realized projects with TePe: Interior Design of National Forum of Music in Wroclaw (2007-2009), Chopin's Bench in Warsaw (2009), Revitalization of Main Railway Station in Warsaw (2009-2011), Information System for Main Railway Station in Warsaw (2009-2011), Interior Design of National Forum of Music in Wroclaw (2007-2009), Interior Design of Embassy of Polish Republic in Skopje (2012), Information System for Children Hospital in Warsaw (2012), Interior Design of Polish Institute in Tel Aviv (2013). Recently opened her own practice. The pdf the presentation of the lecture. The lecture is made possible by the Visegrad University Studies Grant, in the framework of the "Museum of the Future in the Visegrad Countries" course at MOME.